When we create your own yoga practice together, you will tap into the many potential benefits, including -improved flexibility and strength, better posture, cartilage and joint support, spine protection, increased bone density and blood flow, lymph drainage, support of heart health, regulation of blood pressure and adrenal glands, increased general well-being and happiness, sharper focus, improved balance, release of tension, improved sleep, more effective breathing and digestion, peace of mind and more! I have practiced yoga for about 45 years in a very moderate and practical way. I have always been aware how it has enhanced my wellbeing through every life journey that I have taken. I have also taken formal training and am a certified instructor. I’m not a particularly flexible person and, like most folks my age and beyond, I have challenges that are helped in a huge way by my yoga practice. I have a very active life and yoga helps to keep me flexible, strong, balanced and moving - and so much more. I want to share the fantastic benefits of yoga with a focus on ease, breathing, energy, flexibility, balance, strength and safety. I am always fascinated with the many ways that poses can be modified to suit a wide range of abilities and I make frequent use of custom adjustments and props to assist with progress. Comfort, safety and joy in practice are at the core of my philosophy. I’m on the Road - Bringing Yoga to You! You can choose a time and place that are convenient for you. If you live in a complex with an activity room, you may not even have to go outside. This is particularly advantageous in winter. No heavy clothing, windshield scraping, travel on tricky roads, slippery sidewalks - just grab your mat and walk over! Since we are not constrained by a class schedule and large number of participants, we can ‘take the time it takes’ to learn how to do each pose safely and for maximum benefit. Perhaps, some poses are not even for you! Or, maybe everyone in your group wants a ‘custom’ approach to yoga that suits the physical capacity of the entire group. We can talk in detail about any health concerns that will relate to your practice. Are you are a group of co-workers who would like to fit a convenient practice in at your workplace - maybe over the lunch break? If the weather is perfect, perhaps take the mats out onto the grass, or - to the local park or beach! Maybe this is just the spark you need to keep you motivated to get out more under your own steam, or carry on your practice at home, in between classes. I can get you started on an easy program so you can DIY when you like! It’s a great opportunity to socialize, pick up tips, learn new poses and sequences, and generally stay motivated to carry on with your routine self-practice. 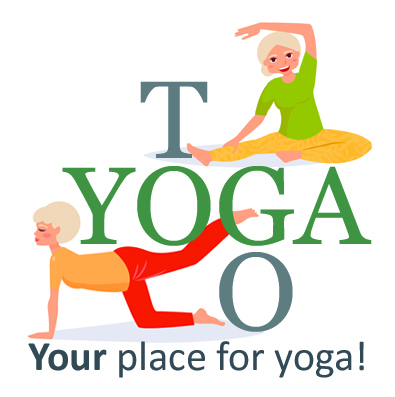 If you are looking to give an on-site yoga practice a try, contact me and we’ll get you started! All you need is the people (with mats, or I’ll have extras) and the space - we’ll do the rest together! You have nothing to lose and everything to gain by creating your practice in your own space at your own convenient time. (Note: Fees apply to my standard territory in Central Nova Scotia.